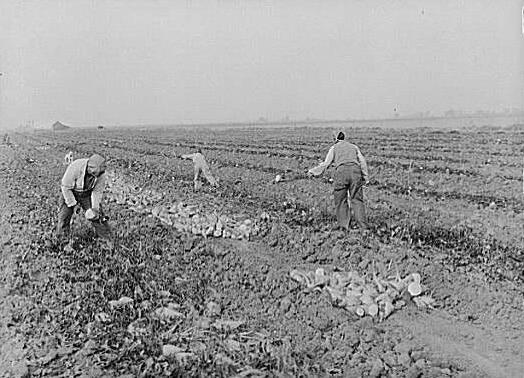 In 1918 Brother George Goates was a farmer who raised sugar beets in Lehi, Utah. . . . An influenza epidemic . . . claimed the lives of George’s son Charles and three of Charles’s small children—two little girls and a boy. In the course of only six days, a grieving George Goates made three separate trips to Ogden, Utah, to bring the bodies home for burial. At the end of this terrible interlude, George and [his young son] Francis hitched up their wagon and headed back to the beet field. When they arrived at the farm gate, Francis jumped down off the big red beet wagon and opened the gate as [his father] drove onto the field. George pulled up, stopped the team, and scanned the field. There wasn’t a sugar beet on the whole field. Then it dawned upon him what Jasper Rolfe meant when he called out: “That’s all of ’em, Uncle George!” . . . This man who brought four of his loved ones home for burial in the course of only six days; made caskets, dug graves, and even helped with the burial clothing—this amazing man who never faltered, nor flinched, nor wavered throughout this agonizing ordeal—sat down on a pile of beet tops and sobbed like a little child. I love stories like this. So amazing how in times of need our friends and loved ones will gather together and help us out.